Here we are at that magical time of year when I encounter a surprising number of folks believe that we "lose an hour" by resetting our clocks from "daylight saving" or "summer" time back to "standard" time. It's a ritual many of us go through twice a year, but trust me, folks: It doesn't change the length of our day by even one second. This whole business can, however, be quite befuddling, as not everyone observes this change. Perhaps a look at how we measure time would help clear up some of the misconceptions. We all know that the Earth rotates on its axis and that it's this rotation that causes the sun to appear to rise in the east, drift across the sky and set in the west. If the sun shines in our sky, it can't also be in the sky on the other side of the planet. Modern technology frequently shows this to be true. We can watch a live news report from the Middle East, for example, where the sky is dark, while outside our windows at home it's broad daylight. Our measurement of time is maintained by a number of precise atomic clocks around the world, but this wasn't always so. Back in the 19th century, for example, time was purely a local matter. If you wanted to know what time it was, you'd go to check out the clock on the local church steeple. If you traveled or communicated across greater distances, you had a serious problem. This wasn't a big issue for most people back then, but it sure became one as technology improved. So to help keep schedules straight, the railroads in the U.S. and Canada split the continent into time zones on Nov. 18, 1883. And though this was an idea not immediately embraced, its practicality soon became clear. Then came daylight saving time. It was none other than Benjamin Franklin who first conceived of this scheme in a 1784 essay, but more than a century passed before it became reality in the U.S. On March 19, 1918, the U.S. passed into law the Standard Time Act, which not only set time zones across the U.S., but also established daylight saving time — a concept that still isn't accepted by all states. For those who do, however, DST begins on the second Sunday in March and ends on the first Sunday in November. 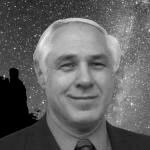 As complex as time seems, to astronomers, it's relatively straightforward. By convention, we use one time zone — that of Greenwich, England. We call this time Universal Time, or simply UT. And if you know how many time zones you lie east or west of Greenwich, you can use basic arithmetic to calculate your corresponding local time. Each zone west of Greenwich represents a time of one hour earlier. Eastern Standard Time, for example, is five hours behind UT. In other words, UT minus 5 = EST. So if UT is 11 a.m., it's only 6 a.m. in New York and 3 a.m on the West Coast — unless, of course, it's daylight saving time. So what the heck time is it anyway? 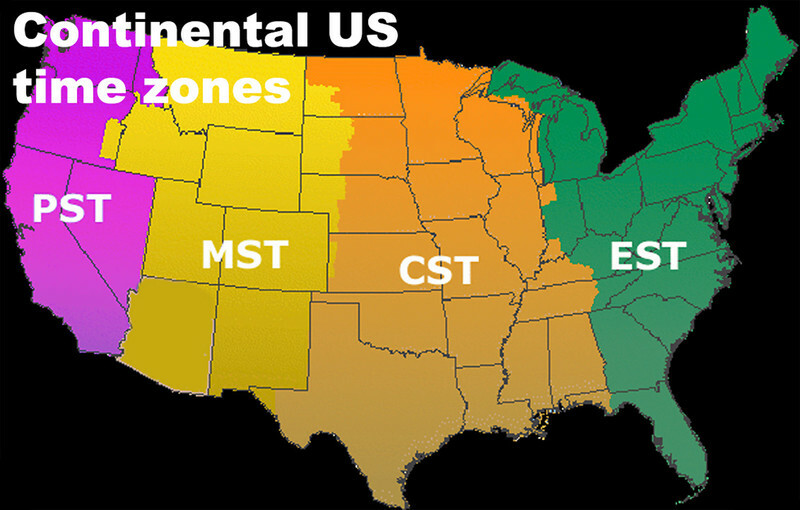 Time zones were established in the U.S. in 1918 by way of the Standard Time Act.